What was the Inspiration for your wedding day? We were inspired by the history of our venue, so we went for a romantic, old Hollywood feel with our decor. How and why did you pick your venue and or wedding detail? The Spanish style of the Casino reminded us of Santa Barbara, which is where we met, and the history of the building was so intriguing, it felt like an added bonus to an already beautiful beachside wedding venue. We love live music and the Casino has a great stage, so we had a live band play our reception! What special details did you include in your wedding or reception?? Allison wore a guardian angel pin that was her late grandmothers’ as her ‘something old’. Her uncle and Godfather officiated the wedding as well. Brady wore socks that had their pets printed on them as a sweet homage since they couldn’t be at the wedding! Brady’s dad and cousin recorded the mother/son dance (I Am Your Child) as a special surprise. Finally, Allison got up on stage and performed “Believe” by Cher during one of the band’s breaks! How did you make your wedding day special and make it about the two of you? 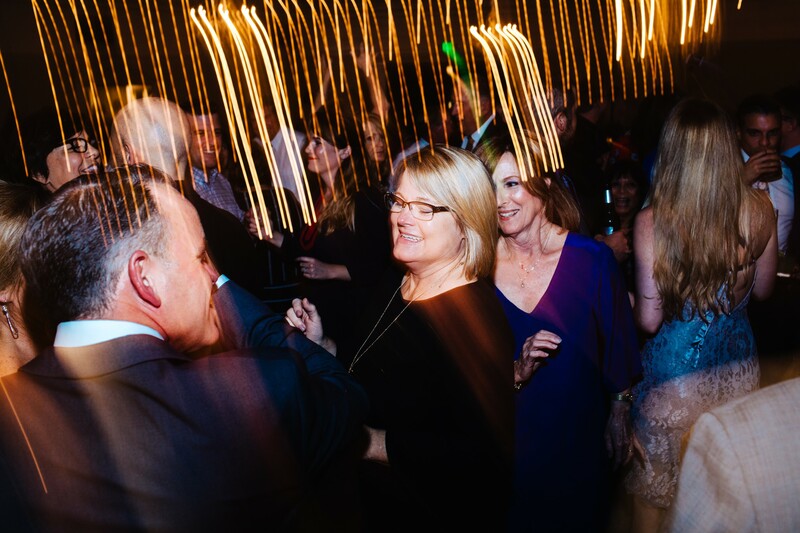 Music is a huge part of our relationship, so we were very thoughtful about the music we had at our ceremony and special dances- we couldn’t stop singing along to our first dance song. We also made sure to have a band, which was one of the best decisions we made! Bride: I’m the first of three girls to get married, so walking down the aisle with my dad and having him give me away to Brady was a really special moment. When I was up there with Brady, it felt like we were the only two people there although we had 150+ guests. I also love the spotlight and had an amazing time when I sang at the reception. What was your favorite part about the wedding planning process? We really enjoyed finding our venue, our tasting at Jay’s, and of course are super fun engagement shoot with the DeLaura’s! Any advice for those planning now? Get a planner ASAP (full year preferred) – they are super helpful and think of the little things that can make a big difference day of. You want to be super happy and carefree on your day, and that’s what a planner does for you! Of course, hire the DeLaura’s! We absolutely love Kendal and Anthony and found friends in the process!! First Dance: “We Got Us” by Canaan Smith- this is the most memorable song from our first date, a Sugarland concert that Canaan Smith was the opener for at the Santa Barbara Bowl six years ago. How was your experience working with The DeLauras? The DeLauras were SO amazing from the first day we spoke with them before we signed our contract to the last hour of our reception! They made us feel so comfortable and encouraged us to have a ton of fun with our engagement photos and day of- they’re also really cool people and we’re so excited we made friends out of this process!